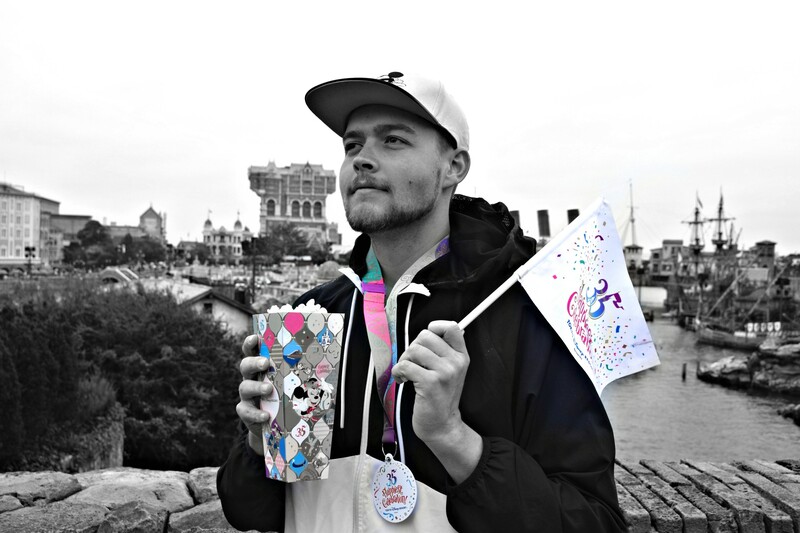 It was my first visit to any Disney park since May; needless to say I was glad to be back. As we walked to the park, we enjoyed views of Disneyland Resorts massive new parking garage project! 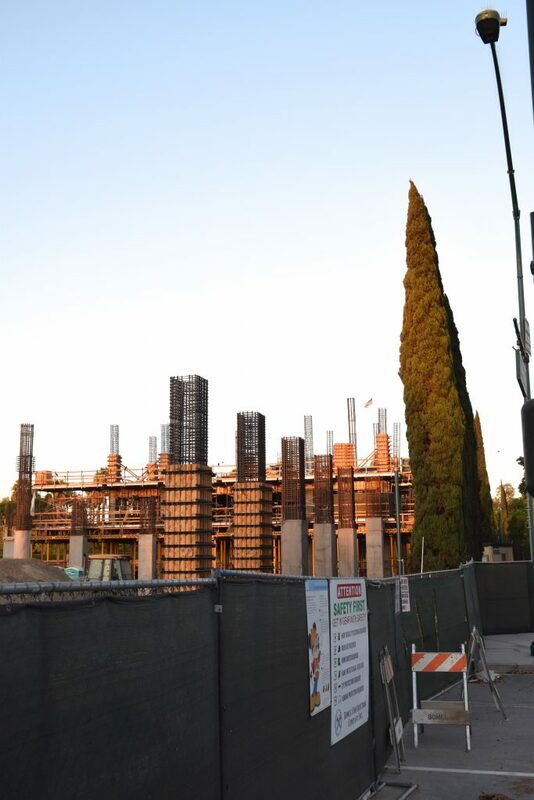 As much as I would like to still see the parking garage go in on the other side of Harbor Blvd., building a companion structure for the Mickey & Friends garage is a no-brainer. 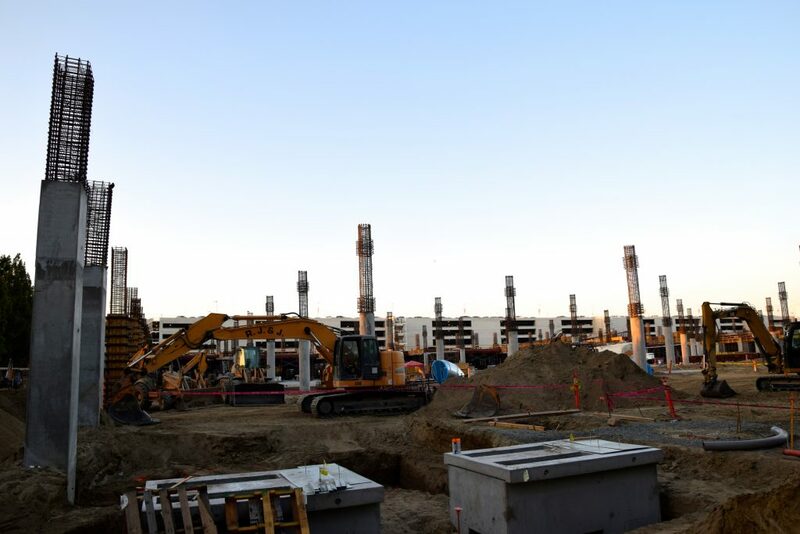 Disneyland Resort will see a 50%+ increase in parking capacity with the addition of this new garage – just in time for Star Wars: Galaxy’s Edge! 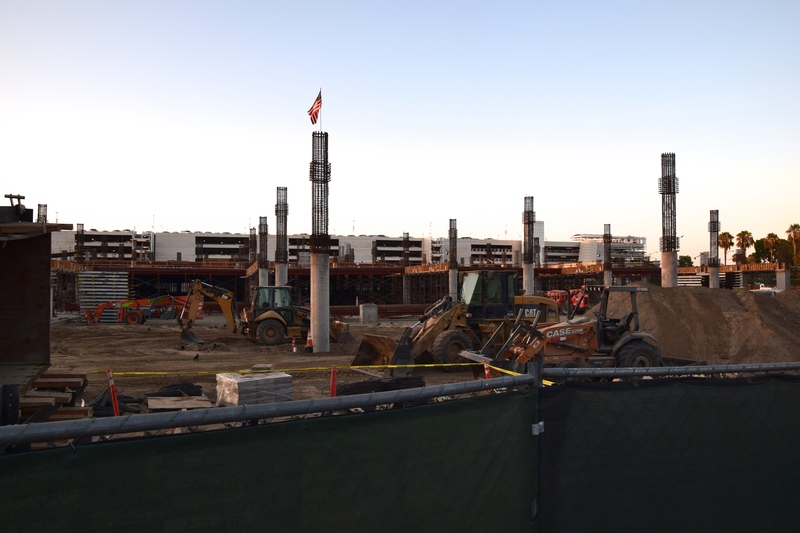 With other MAJOR developments coming down the pipe for Disneyland Resort, it’s no surprise their parking situation is being beef’d up so dramatically. 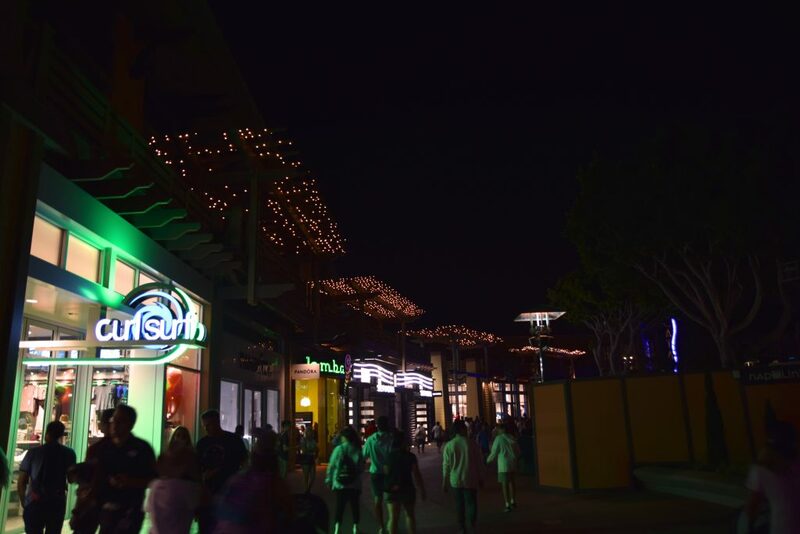 Speaking of dramatic changes, let’s take a look at (what’s left of) Downtown Disney. Since our last visit, everything in Downtown Disney between the Monorail station and Disneyland Hotel has closed permanently. 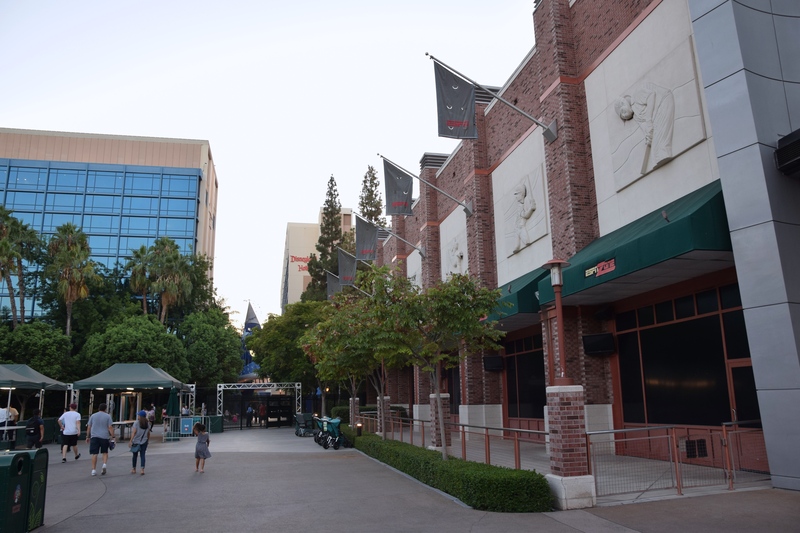 Casualties include ESPN Zone, Rainforest Cafe, Earl of Sandwich, the AMC movie theatre, and one of Downtown Disney’s two Starbucks locations. 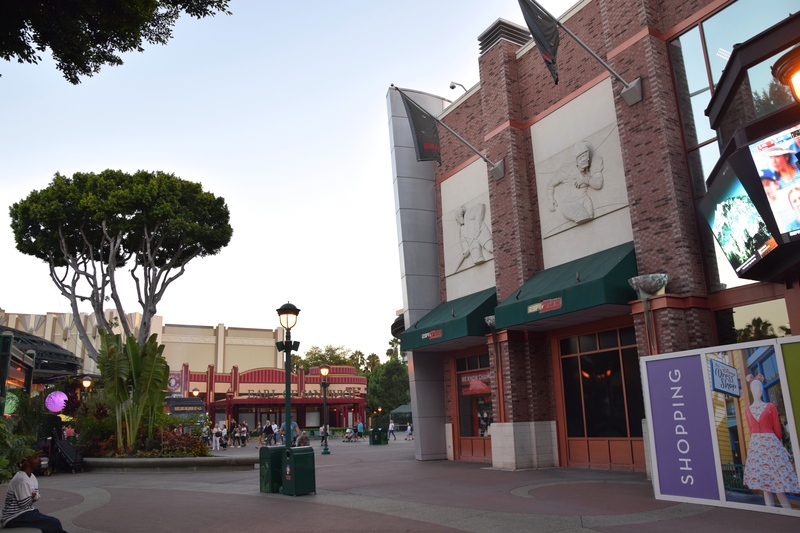 The entrance plaza for AMC has been temporarily repurposed as a food truck food court. 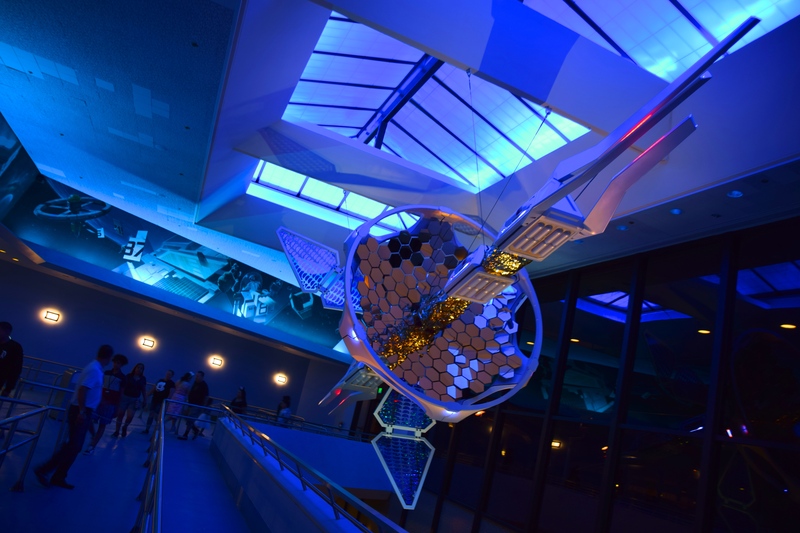 Oh, and Disney Vacation club has also vacated from this area. Rainforest Cafe is something that I associate very closely with late 90s/early 2000s Disney. 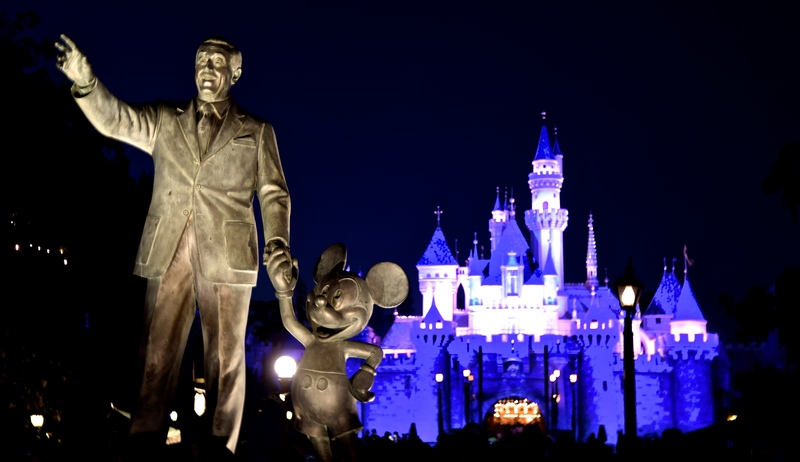 It seems a shame for Disneyland Resort to lose theirs, especially with Walt Disney World’s two locations performing so well. 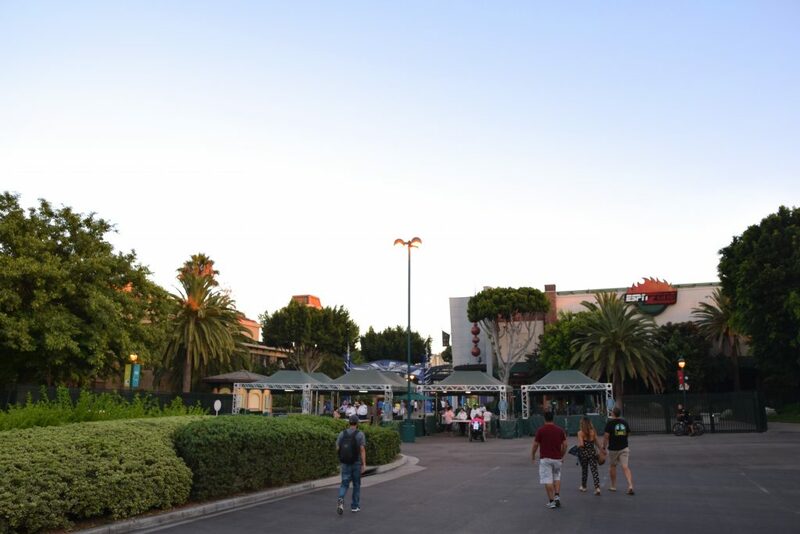 Our evening visit to Disneyland Park started with dinner at one of our favorites (Alien Pizza Port), after which it was already dark. 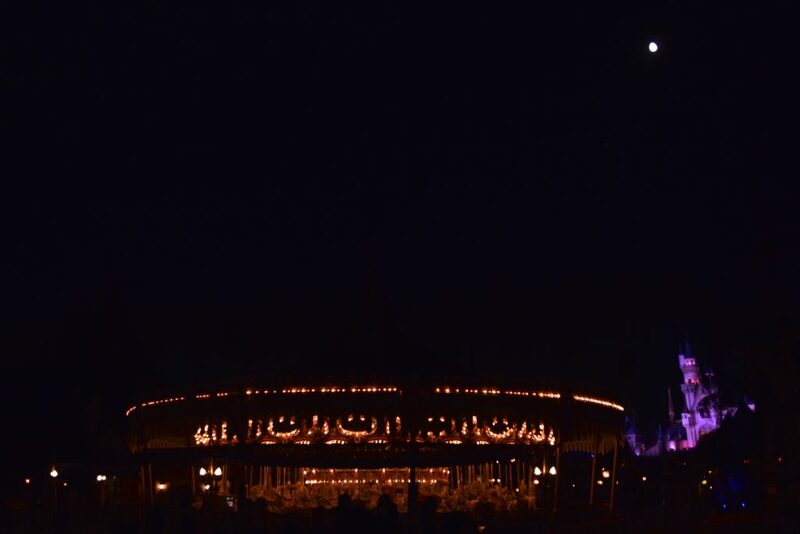 Plenty of time to ride some rides, however! The new scenes for Pirates of the Caribbean are pleasant additions. I have no complaints! 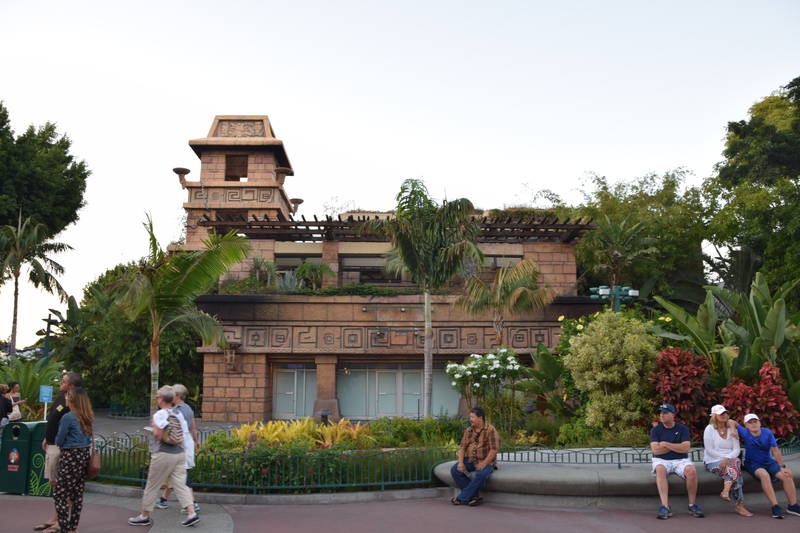 Surprised to see the Davey Jones mist curtain go, however. 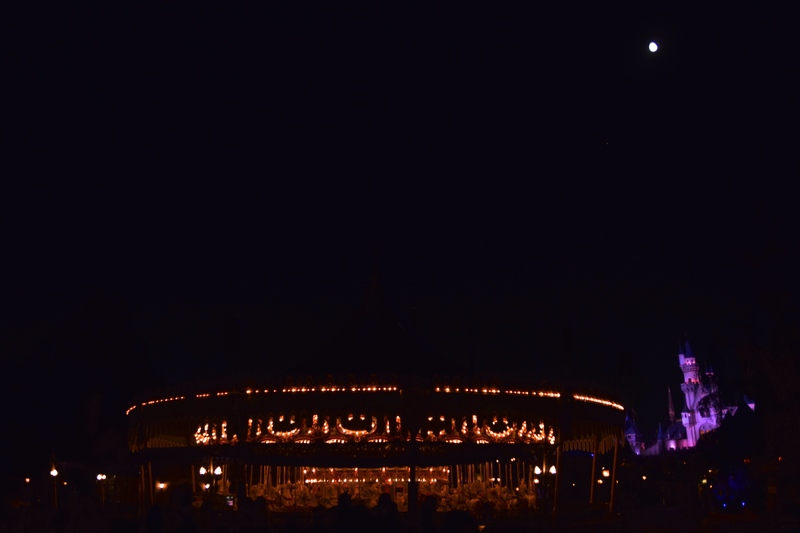 After a walk-on ride on Splash Mountain (we caught it just as it was reopening from one of its countless daily breakdowns) and a short-queue wait for Big Thunder Mountain (amid nighttime fireworks), we headed into Fantasyland. 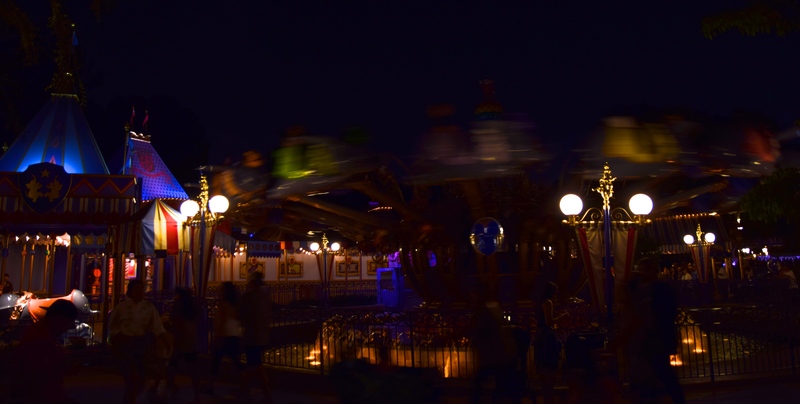 Updated Dumbo looks great – day or night! 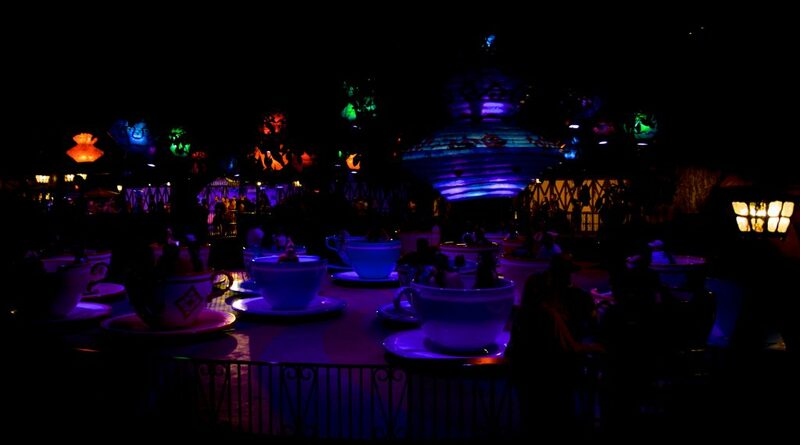 We caught Mad Tea Party just as it was reopening post-fireworks! What luck! Matterhorn Bobsleds is closed for routine maintenance, but Tea Party offers great night rides too! 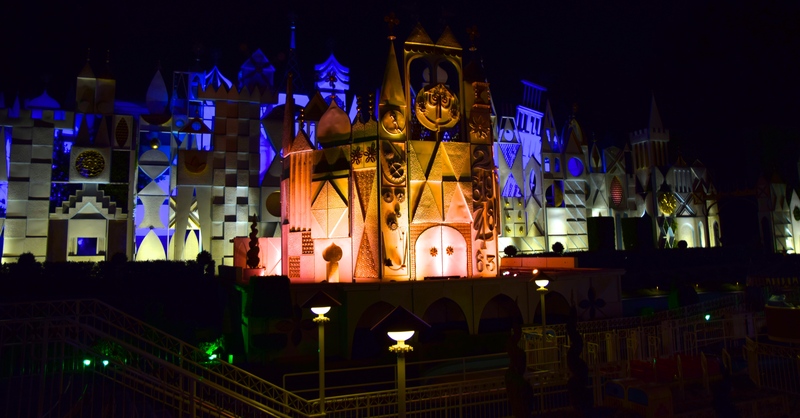 it’s a small world was also a walk-on. Happy day! 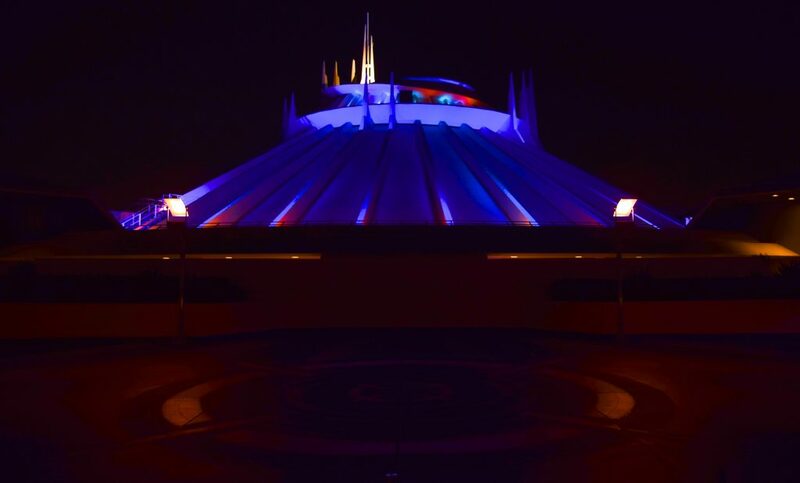 Our last ride of the night is Space Mountain. 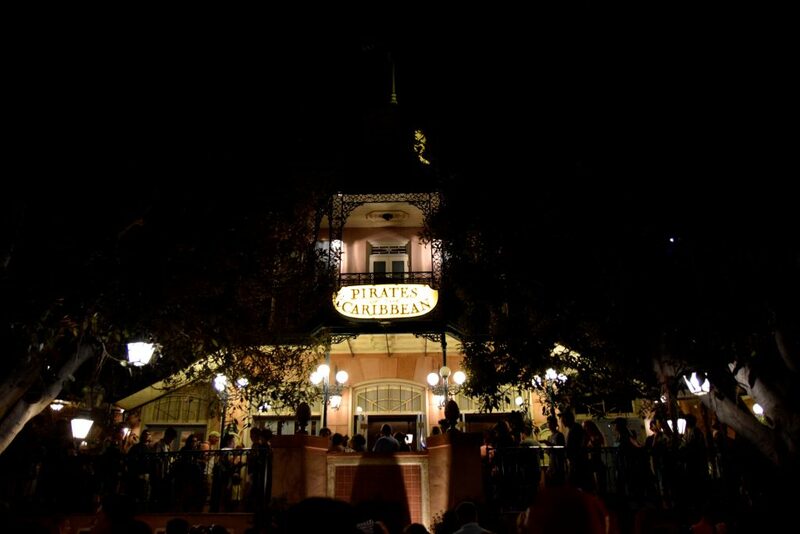 It’s a good one to get in line for right before the park closes; once the Fast Pass returns are all done, the line moves fast! Oh! What do we have here?? 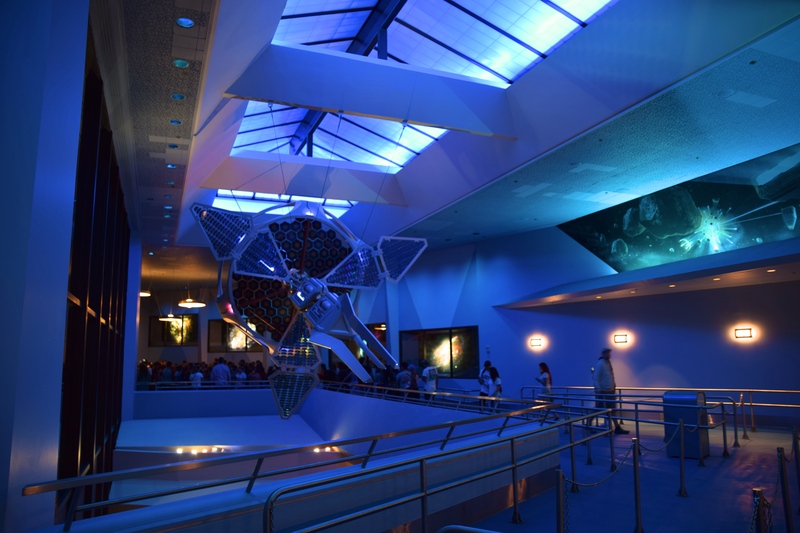 The long-shuttered 2nd floor of the Starcade has been turned into some amazing-looking overflow queue for Space Mountain! 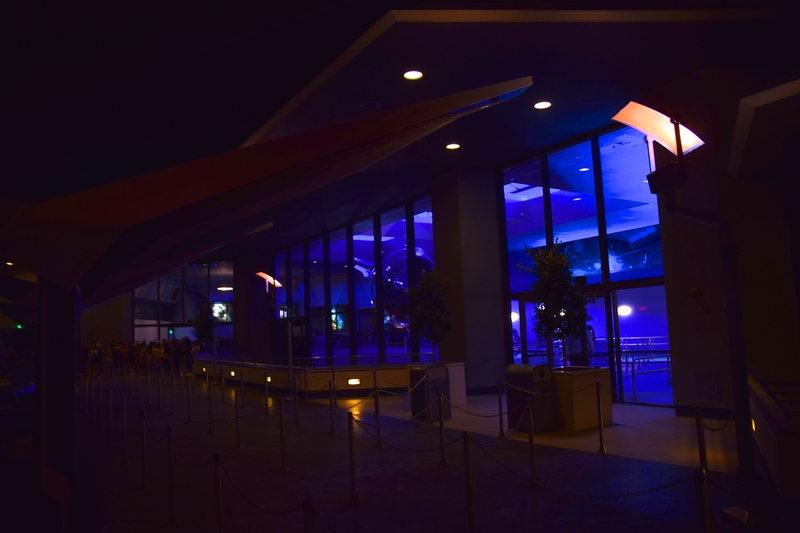 This was such a clever reuse of the space; the downstairs is often converted into special event space, but now the 2nd story has some great scenery! 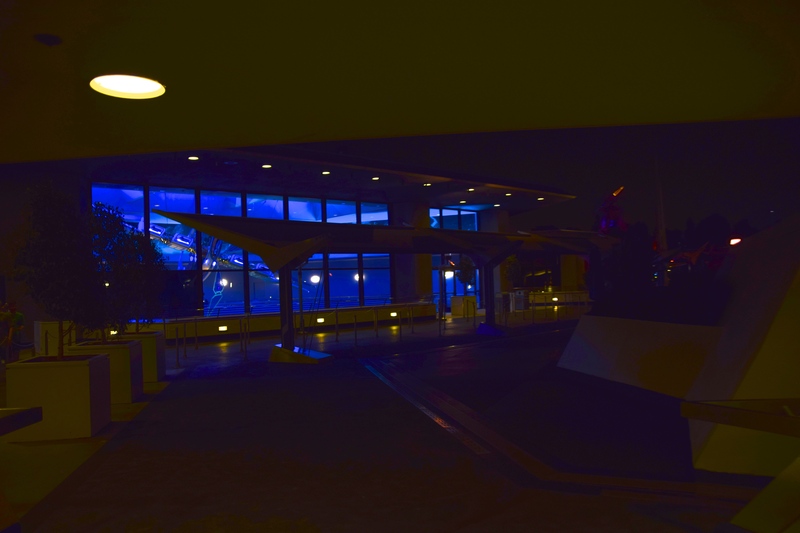 This is a pretty major move for Tomorrowland – I can only imagine what else might be in store for the area as an inevitable overhaul of the troubled land draws near! The new World of Disney store in Downtown Disney looks great! Love the clean, sophisticated aesthetic. 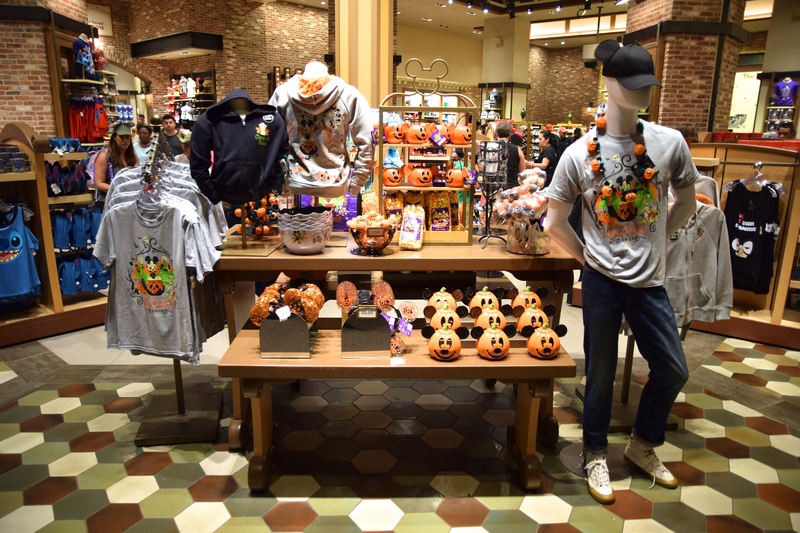 Also, who’s ready for Halloween??? 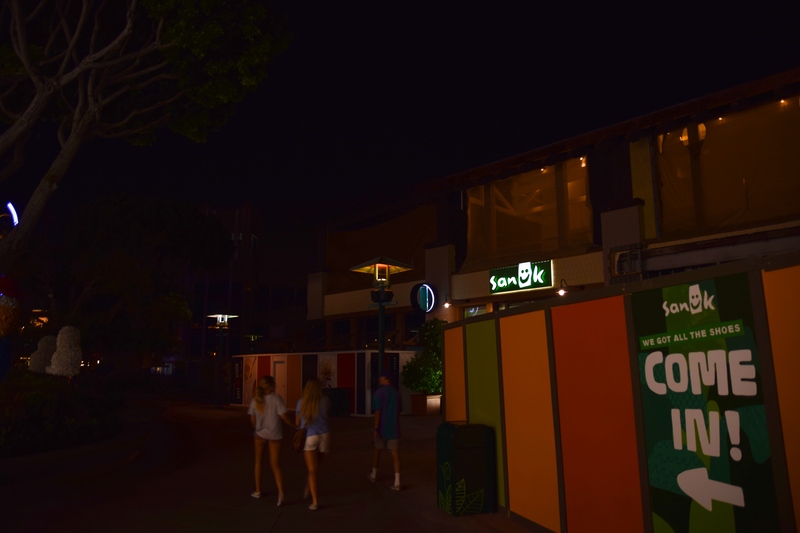 Downtown Disney is rapidly being reduced to whatever has opened in the last year or so. 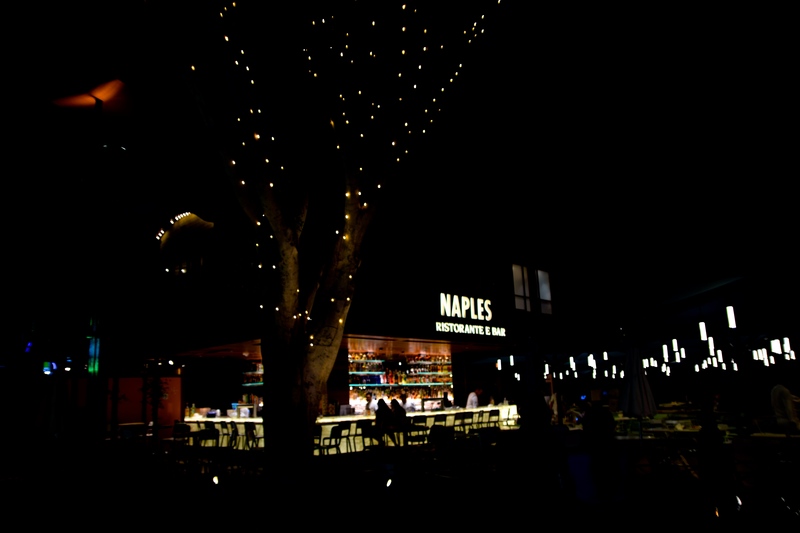 The remodeled outdoor bar for Naples is now complete, but the restaurant is still under construction. As Downtown Disney continues to disappear right before our eyes, it begs the question: Is an even BIGGER Downtown Disney-style concept on the way? 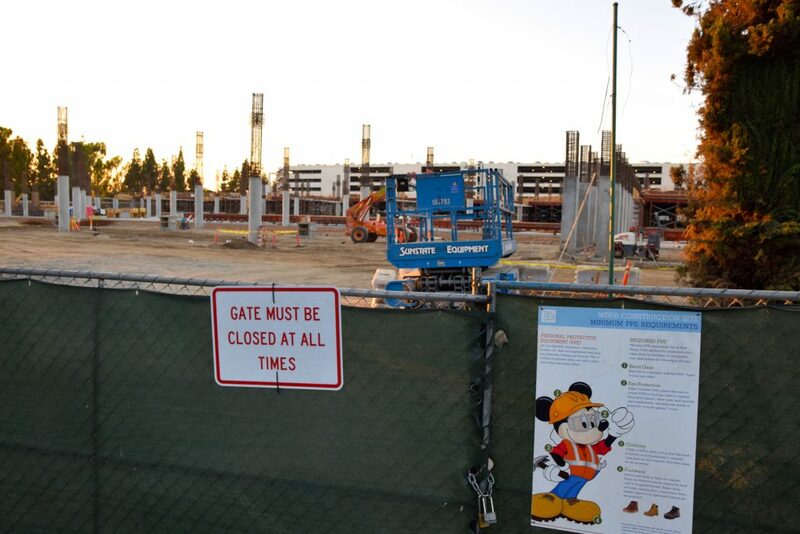 Sean and I theorize that nearby Anaheim GardenWalk will be absorbed by the mouse and turned into Disney Springs. 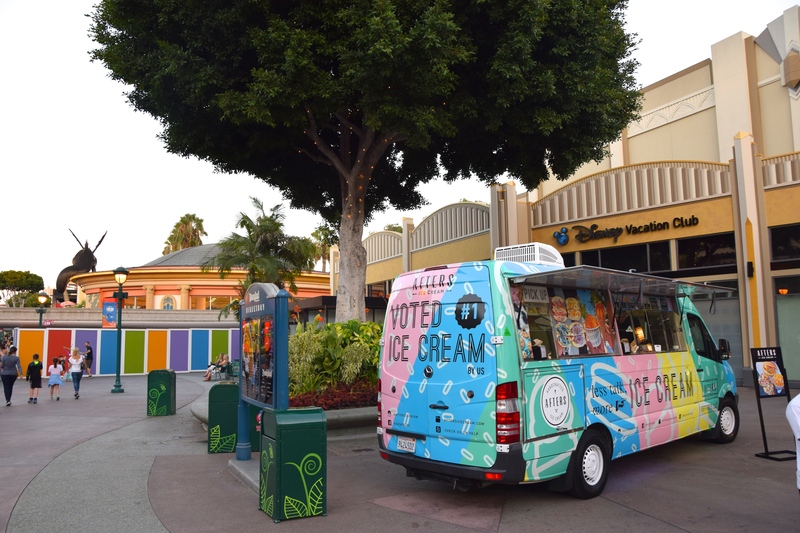 The location is perfect (right between Toy Story Lot and the Harbor Blvd parking garage plot), and, while tenant occupancy is currently very low, the infrastructure is massive – perfect for a major Disney-branded retail experience. 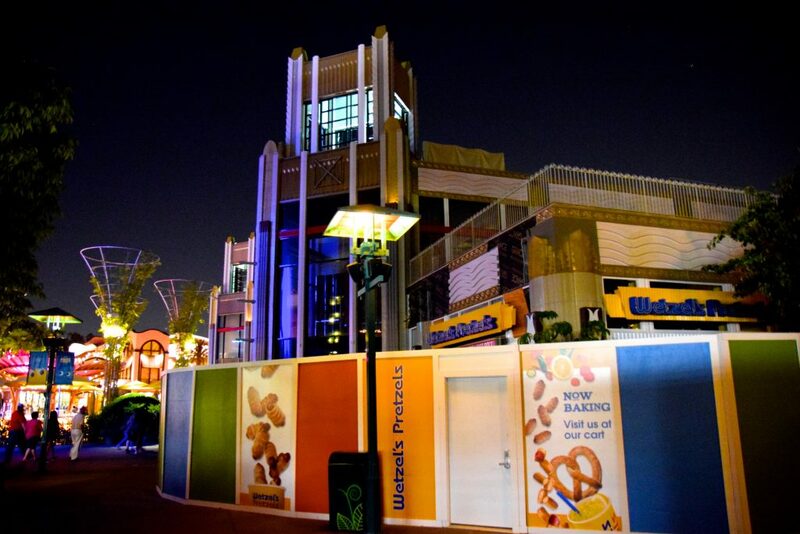 Plus there’s already some great restaurants and venues in place. 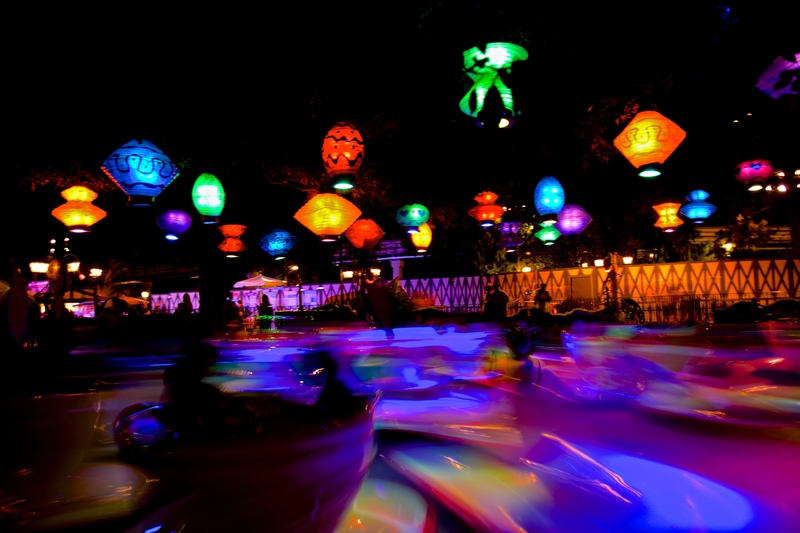 That concludes our Disneyland Resort update! 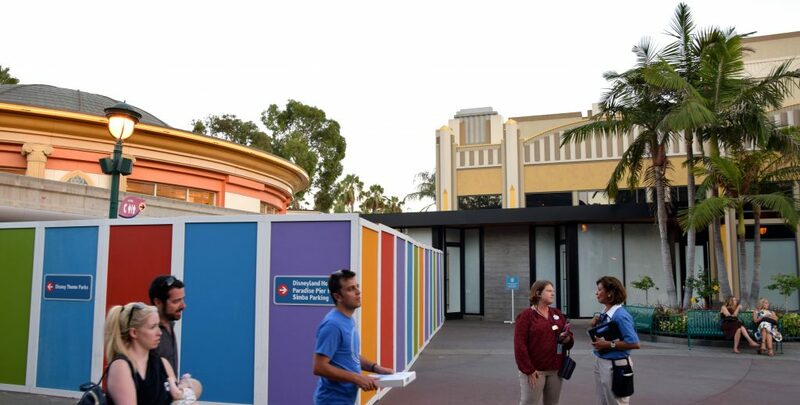 We plan to be back next week for a detailed look at the current state of Disney California Adventure, including Pixar Pier and other changes!